Businesses can deduct ordinary and necessary expenses paid or incurred during the tax year in carrying on a trade or business. Before it was amended by the Tax Cuts and Jobs Act, the tax code generally prohibited deductions for entertainment, amusement or recreation activities. However, the tax code provided exceptions to that prohibition, so many businesses could write off some entertainment expenses. Now the TCJA generally disallows deductions for any entertainment, amusement or recreation expenses. The new IRS Notice (and an accompanying information release) provide transitional guidance on the deductibility of expenses for business meals that are purchased in an entertainment context. The TCJA didn't address the circumstances in which the provision of food and beverages might constitute entertainment. However, the legislative history of the TCJA clarifies that taxpayers generally can continue to deduct 50% of the food and beverage expenses associated with operating their trades or businesses. The expense is an ordinary and necessary expense paid or incurred during the tax year in carrying on a trade or business. The expense isn't lavish or extravagant under the circumstances. The taxpayer, or an employee of the taxpayer, is present while the food or beverages are being consumed. The food and beverages are provided to current or potential business customers, clients, consultants or similar business contacts. In the case of food and beverages provided during or at an entertainment activity, the food and beverages are purchased separately from the entertainment, or the cost of the food and beverages is stated separately from the cost of the entertainment on one or more bills, invoices or receipts. The entertainment disallowance rule can't be circumvented by inflating the amount charged for food and beverages. The IRS guidance provides three examples. For each one, assume that the food and beverage expenses are ordinary and necessary expenses under the tax code, paid or incurred during the tax year in carrying on a trade or business and aren't lavish or extravagant. Also assume that the taxpayer and the business contact aren't engaged in a trade or business that has any relation to the entertainment activity. Example 1. Andrew invites Bob, a business contact, to a baseball game. Andrew purchases tickets for himself and Bob to attend the game. While at the game, Andrew buys hot dogs and sodas for the two of them. A baseball game is entertainment. Thus, Andrew can't deduct the cost of the tickets. The cost of the hot dogs and drinks, which are purchased separately from the game tickets, isn't an entertainment expense and isn't subject to the tax code disallowance. 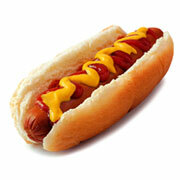 Therefore, Andrew can deduct 50% of the expenses associated with the hot dogs and drinks purchased at the game. Example 2. Cathy invites Danielle, a business contact, to a basketball game. Cathy purchases tickets for them to attend the game in a suite, where they have access to food and beverages. The cost of the basketball game tickets, as stated on the invoice, includes the food and beverages. A basketball game is entertainment. Therefore, Cathy can't deduct the cost of the tickets. Because the food and beverages aren't purchased separately from the game tickets, and aren't stated separately on the invoice, the cost is an entertainment expense that's disallowed. Therefore, Cathy can't deduct any of the expenses associated with the basketball game. Example 3. Assume the same facts as in Example 2, except the invoice for the basketball game tickets separately states the cost of the food and beverages. As in Example 2, a basketball game is entertainment as defined by IRS regulations. So the cost of the tickets is an entertainment expense, and Cathy can't deduct that cost. However, the cost of the food and beverages, which is stated separately on the invoice for the game tickets, isn't an entertainment expense. So, Cathy can deduct 50% of the stated cost of the food and beverage expenses. The IRS intends to publish proposed regulations on this issue in the future. Until the proposed regs are effective, taxpayers can rely on the guidance in Notice for the treatment of expenses for the business meals described in the guidance. The IRS also plans to issue separate guidance addressing the treatment of expenses for food and beverages furnished primarily to employees on the employer's business premises. Contact your tax advisor for more information.